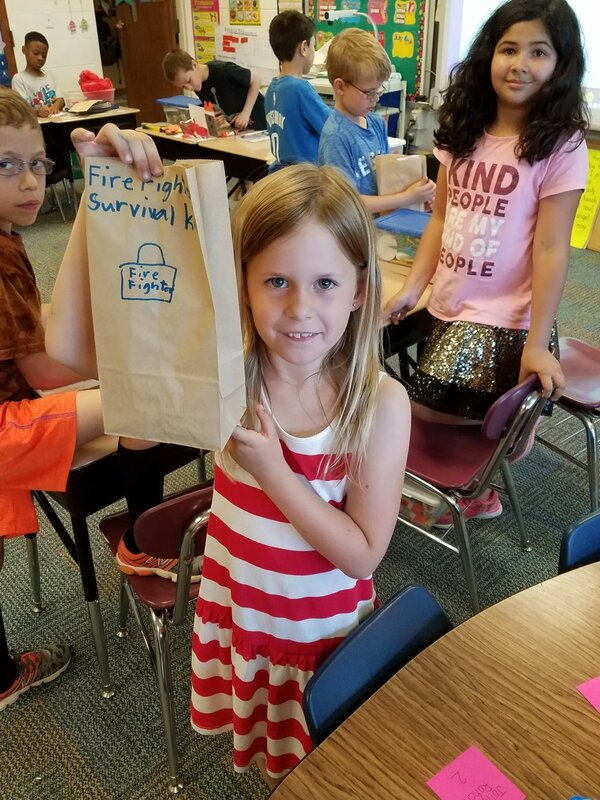 Since Bethany has adopted Station 8 as a house which we routinely show our appreciation for, each class does a thank you project for the fire fighters every year. 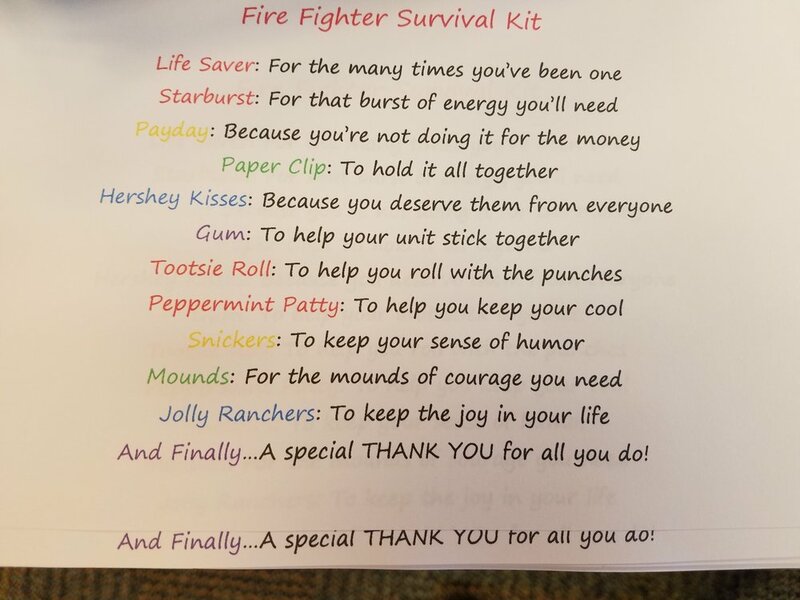 This year we assembled fire fighter survival kits with some candy, a note of appreciation, and a special card made by each student. 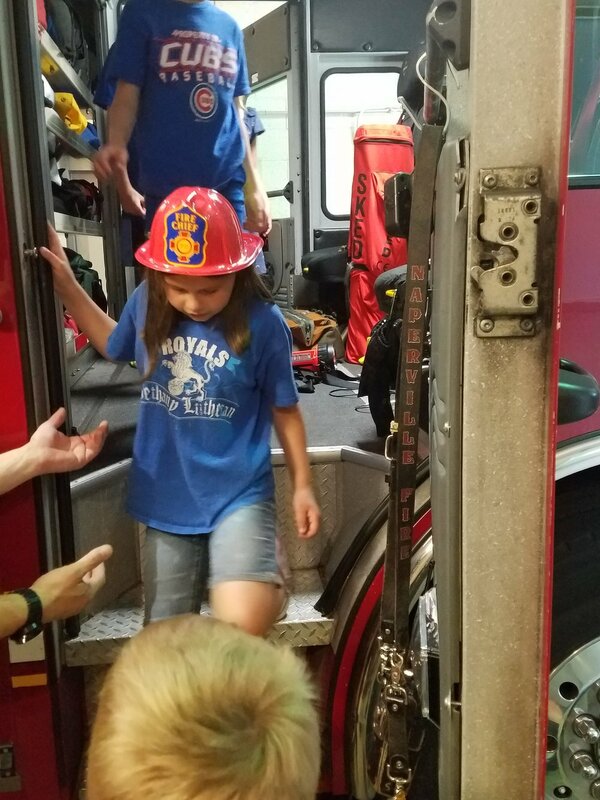 We delivered the kits when we toured the station. 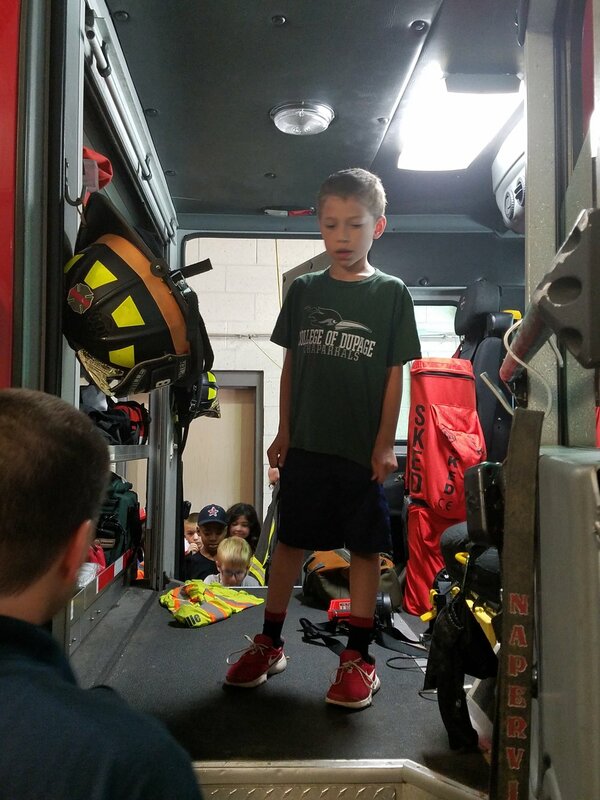 We enjoyed seeing the truck and learning about all the special tools they have to do their jobs. 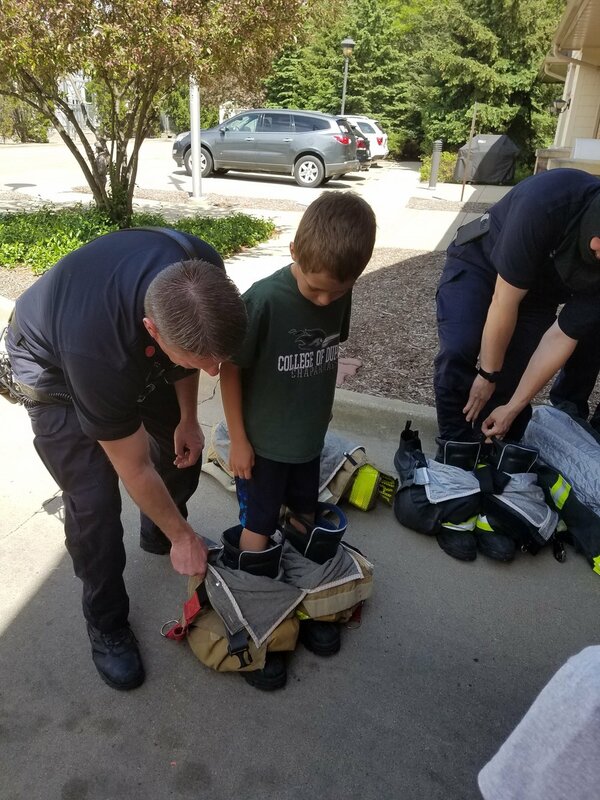 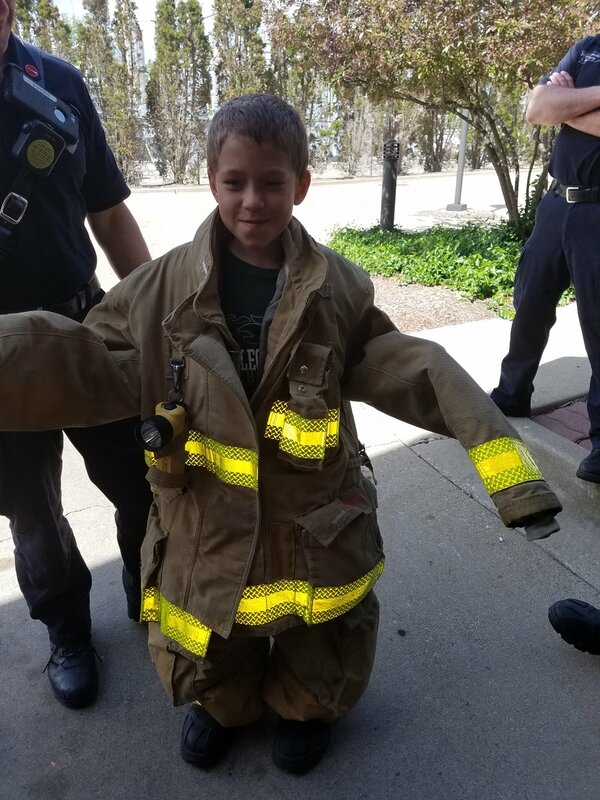 We each got to climb through the truck and 1 lucky student even got to put on the gear!